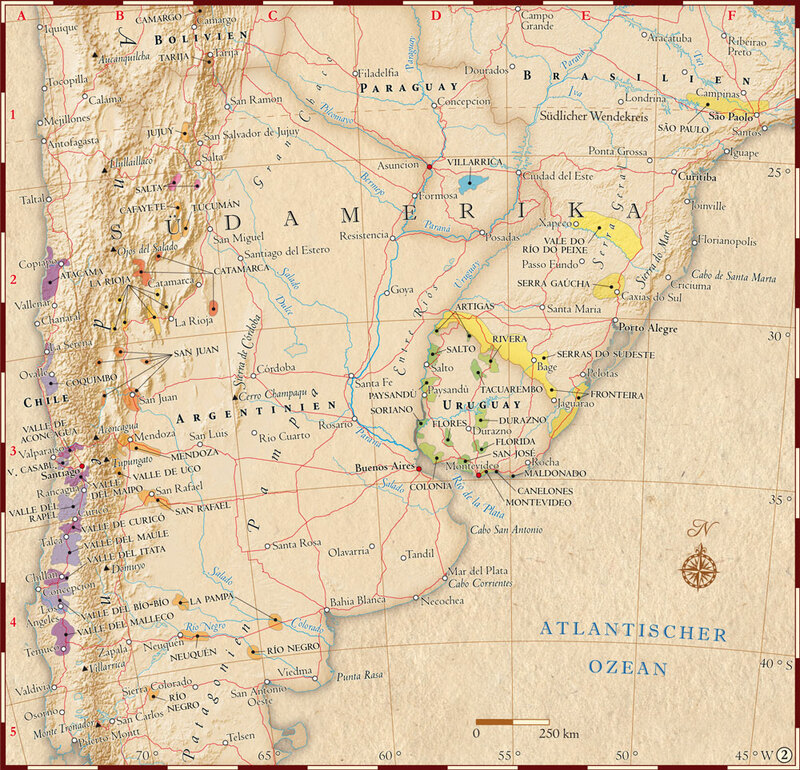 The two-part map Atlas of Wine Cultures includes illustrations of more than 1000 vineyards in the entire world. 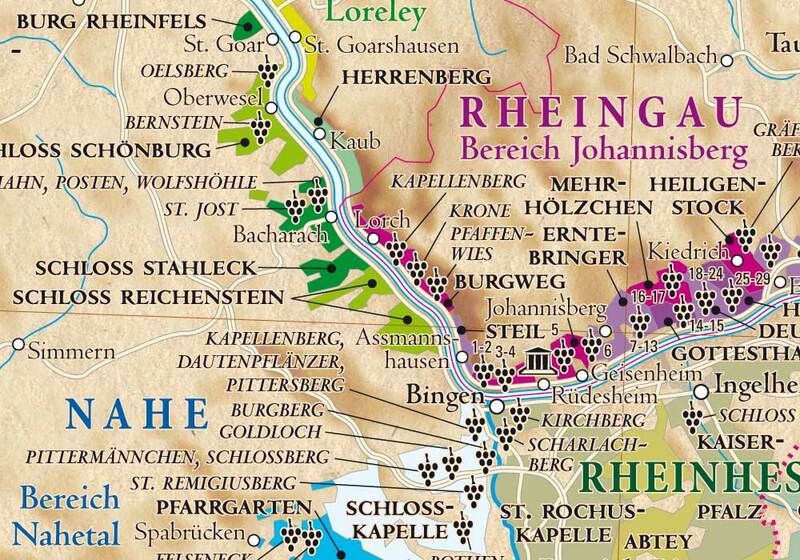 Alongside classical wine regions you will find new and exotic growing areas. 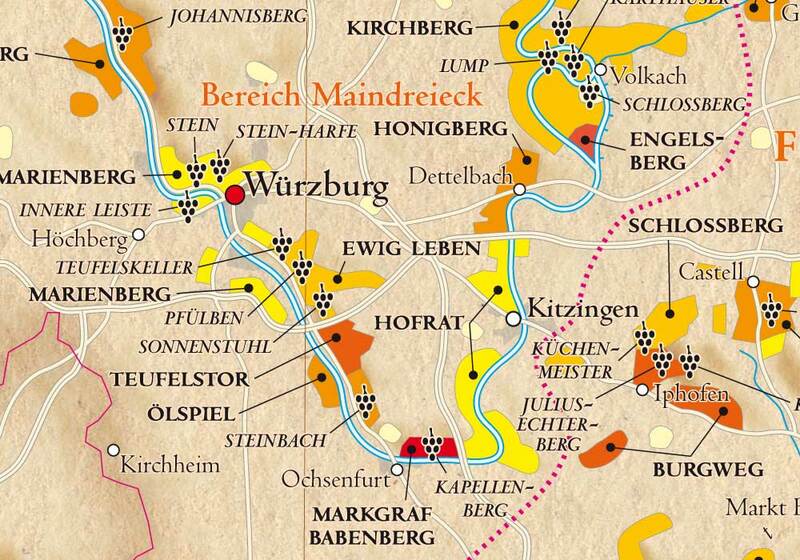 Owing to todays climate change viticulture has already become susceptible to major change. Meanwhile wine is growing in territories, which have been usually associated with ice and snow, such as Alaska and Norway for example. Progress in tropical viticulture (new grape varieties and wine cellarmethods) also enables wines from Thailand, Vietnam, Indonesia and Tanzania to enter the equation. 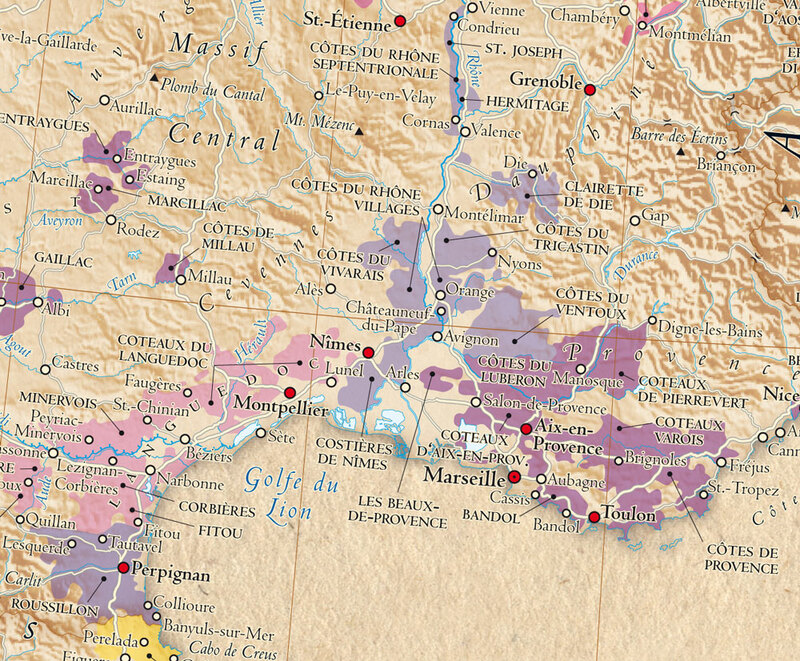 In order to illustrate the extraordinary plethora of global vineyards on simply two maps seems almost impossible. Nonetheless, we gambled on a compromise, with the intention to satisfy both the professional wine connoisseur and the intrigued observer. 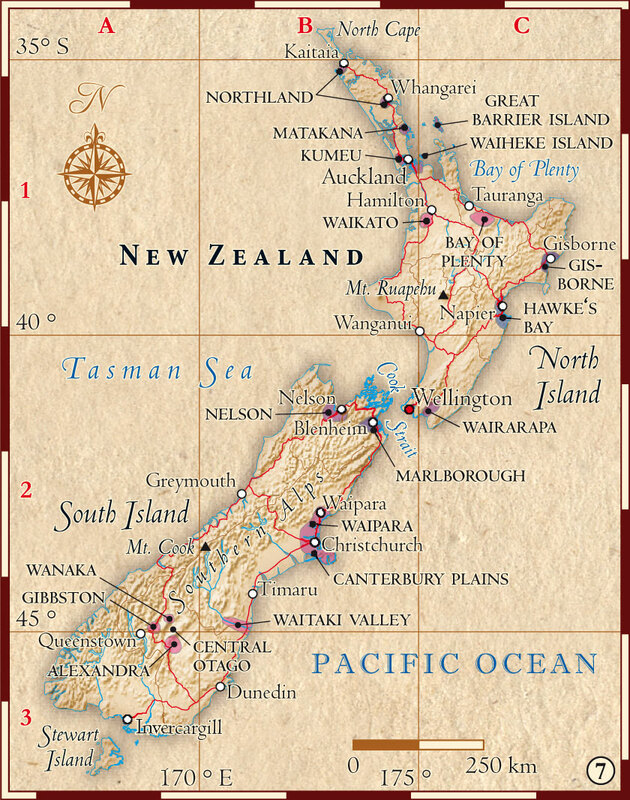 A good map should be legible for the reader. 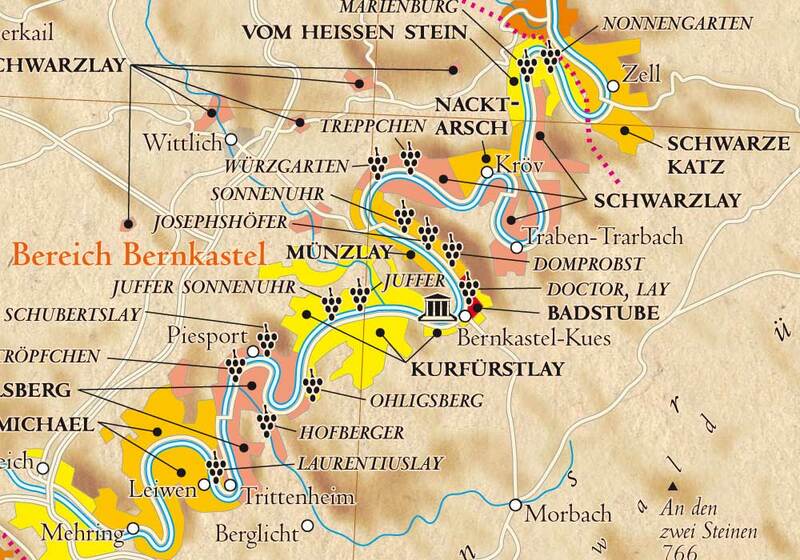 Therefore, it was necessary to consider a selection of all classical as well as new and exotic wine regions. 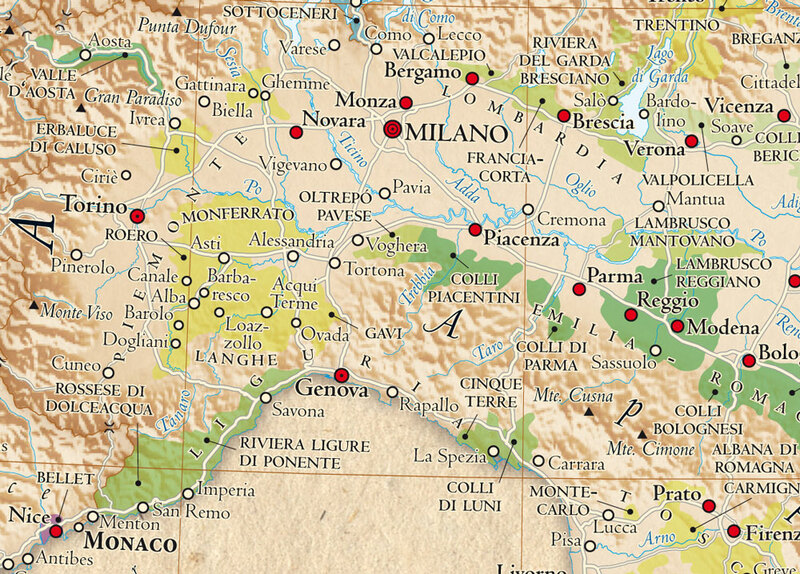 It was not always possible to illustrate sub-regions, due to the scale or even single vineyards including the classical producing regions.